NAIROBI – Missing Kenyan activist Caroline Mwatha has been found dead, police have told the journalists. Ms Mwatha worked documenting extrajudicial police killings but police believe she may have died from abortion-related complications. Six people have been held in connection with her death, Kenya’s Director of Criminal Investigations said in statement shared on twitter. Those arrested include Stephen Maina an uber driver, Alexander Gitau Gikonya a boyfriend, Doctor Micheal Onchiri, Georgia Achieng Tabitha, Betty Akinyi Nyanya and Richard Ramoya Abudo thed son to Betty. Ms Mwatha disappeared last Wednesday and efforts to find her spawned the trending hashtag #FindCarolineMwatha. Ms Mwatha worked for the Dandora Community Justice Centre (DCDJ), documenting extra-judicial police killings on the Dandora estate in the east of the capital, Nairobi. The BBC’s Ferdinand Omondi in Nairobi in a tweet later confirmed by Kenyan Police indicated that Ms Mwatha’s body is at the City Mortuary in Nairobi. Her family and colleagues say they had looked for her in many places in the past few days, including the mortuary where she was found. A vigil was held for Ms Mwatha in Nairobi on Monday. 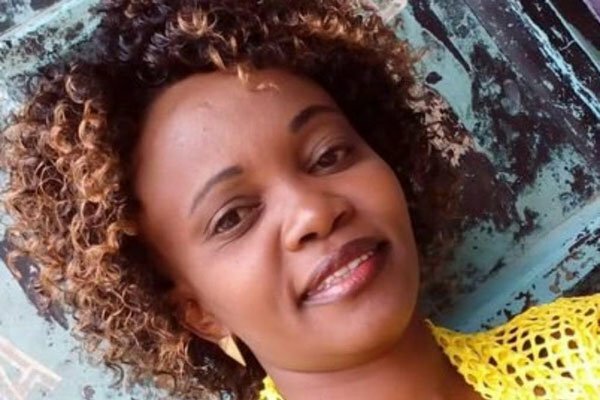 Kenyan rights group Missing Voices called her a “gallant human rights defender”, and said she was last seen on Wednesday afternoon by a friend going into her home in Dandora. Another friend said she did not pick up the phone when called that evening. A clinic said to have facilitated a botched abortion on by Mwatha in Nairobi is not registered, Kenya Medical Practitioners and Dentists Board (KMPDB) has revealed. KMPDB chief executive Daniel Yumbya said government officials will visit the clinic for inspection on Wednesday.